Is found in so-called “diet” or “sugar free” products (including diet coke, coke zero), jello, desserts, sugar free gum, drink mixes, table top sweeteners, cereal, breath-mints, puddings, kool-aid, ice tea, chewable vitamins, toothpaste, and cough syrup. Aspartame is a neurotoxin (bad for brain cells) and carcinogen (causes cancer). Known to erode intelligence and affect short- term memory, the components of this toxic sweetener may lead to a wide variety of ailments including brain tumor, diseases like lymphoma, diabetes, multiple sclerosis, Parkinson’s, Alzheimer’s, fibromyalgia, chronic fatigue, depression and anxiety attacks, dizziness, headaches, nausea, mental confusion and seizures. 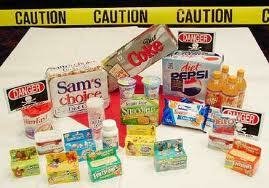 Is in over 80% of processed foods, like breads, candy, flavored yogurt, salad dressings, canned vegetables and cereals. High fructose corn syrup (HFCS) is a highly refined artificial sweetener which has become the number one source of calories in America. HFCS packs on the pounds faster than any other ingredient, increases LDL (“bad”) cholesterol levels, and contributes to the development of obesity and diabetes. Originally added as a flavor enhancer, it is used in Chinese food, potato chips, many snacks, chips, cookies, seasonings, most Campbell Soup products, frozen dinners and lunch meats. MSG affects the neurological pathways of the brain and disengages the “I’m full” function which results, for many, in weight gain. MSG is an excito-toxin (stimulates a “feel good” sensation before destroying the brain cell), and regular consumption may result in depression, disorientation, eye damage, fatigue, headaches, and obesity. Partially hydrogenated vegetable oils, margarine, chips and crackers, baked goods, and fast foods (hamburger and fries). Trans fat increases LDL cholesterol levels while decreasing HDL (“good”) cholesterol, increases the risk of heart attacks, heart disease and strokes, and contributes to increased inflammation, diabetes and other health problems. Candy, cereal, soft drinks, sports drinks, pet foods, fruit cocktail, maraschino cherries, cherry pie mix, ice cream, candy, bakery products, American cheese, macaroni and cheese are loaded with dyes. Artificial colorings, may contribute to behavioral problems like ADD and ADHD in children and lead to a significant reduction in IQ. Animal studies have linked other food colorings to cancer. Is found in wine and dried fruit. According to the FDA, approximately one in 100 people are sensitive to sulfites in food. Individuals who are sulfite sensitive may experience asthma, headaches, breathing problems and rashes. 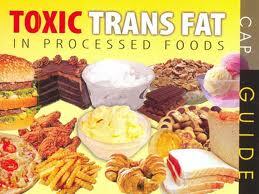 Found in hotdogs, bacon, ham, luncheon meat, cured meats, corned beef, smoked fish or any other type of processed meat. Sodium Nitrate is the chemical that turns meats bright red but it’s highly carcinogenic once it enters the human digestive system. There, it forms a variety of nitrosamine compounds that enter the bloodstream and wreak havoc with a number of internal organs: the liver and pancreas in particular. This toxic chemical is linked to many cancers. 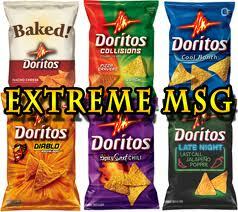 Are used as a preservative in potato chips, gum, cereal, frozen sausages, enriched rice, lard, shortening, candy, and jello. This common preservative keeps foods from changing color, changing flavor or becoming rancid. Effects the neurological system of the brain, alters behavior and has potential to cause cancer. BHA and BHT are oxidants which form cancer-causing reactive compounds in your body. 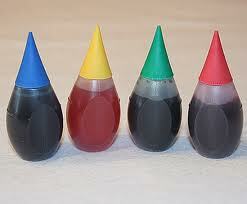 Is used as a preservative in beers, soft drinks, dried fruit, juices, cordials, wine, vinegar, and potato products. Sulphur additives are toxic. Adverse reactions include: bronchial problems, asthma, hypotension, flushing tingling sensations or anaphylactic shock. It destroys vitamins B1 and E in the body. 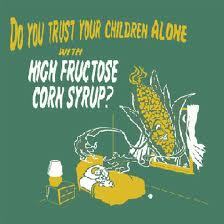 Not recommended for consumption by children. Is used to increase volume in bread and bread-rolls. Potassium bromate is known to cause cancer in animals. Even small amounts in bread can create problems for humans. We won’t spend our money on products that are knowingly making us ill.
that was a good way to start my day I will trt the info re cleaning, great message especially the drain cleaner I wonder if it works on hair!